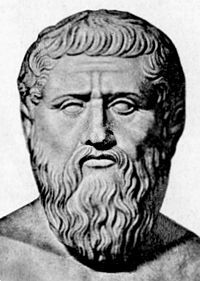 “The Greek thinker Plato (428-348 BCE) speaks trenchantly to us today about twenty-first century barbarism,” writes author, Norman D. Livergood, in the introduction to Rediscovering Plato and the Mystical Science of Dialectic. “A demonic cabal has seized power and imposed a fascistic dictatorship on the United States,” writes Livergood. “It is only when teachings like Plato’s dialogues become current again in the West that we will be able to rise above barbarity and depravity to a more enlightened existence. “Not only can Plato teach us how to withstand a constant barrage of propagandized power-plays, but Plato also provides esoteric Perennialist instructions for realizing our spiritual potential, which is even more important than struggling against despotism and benightedness. “Plato helps us to rescue ourselves not only from political-economic-religious tyrants, but also from our own tyrannies: our mindless self-indulgence, our acquiescence to ignorance and self-satisfaction. The underlying bases of our contemporary social structures are founded on Plato’s concept of a natural, divine law that humans must follow to achieve justice and right conduct. Dr. Norman D. Livergood is an author, publisher, and teacher living in Vista, California. After receiving his bachelors degree from Phillips University, he completed a Master of Divinity, Master of Arts, and a Doctorate in philosophy at Yale University. His interest in psychology led him to pursue a masters equivalent in that field. In 1989 he completed a second doctorate in artificial intelligence at the Union Institute. He has taught at a variety of universities across the United States, from Yale University to the University of California, San Diego. If you liked this ebook about Plato, you will also enjoy Realizing a New Culture, by Dr. Livergood and his wife, Michelle Mairesse.